A photo found in the National Archives may show Amelia Earhart and her navigator, Fred Noonan, alive in the Marshall Islands after their suspected crash landing. 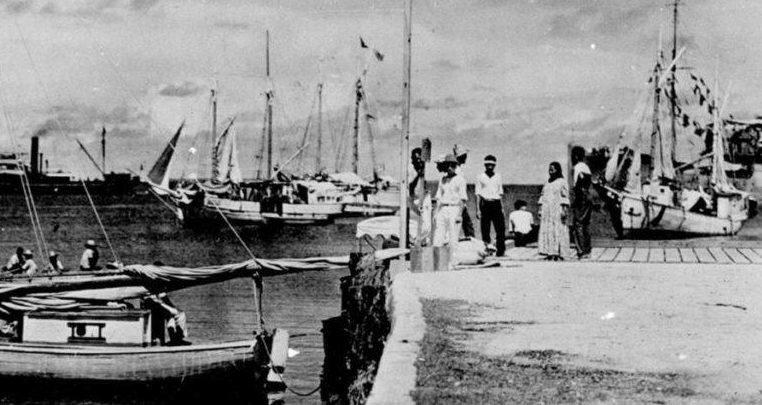 NBC News reports that a certain photo discovered in a forgotten file in the U.S. National Archives appears to depict Amelia Earhart and her navigator in the Marshall Islands after their disappearance. The photo will now be the subject of a History Channel documentary. It was on July 2, 1937 that Earhart’s craft vanished near Howland Island in the central Pacific. Since her circumnavigation adventure was widely-covered by media, her disappearance quickly sparked an enormous search effort that ultimately proved futile. And many theories and ideas sprung up over the years. Many believe that they must have crash landed into the ocean, however, extensive attempts to search for the wreck on the ocean floor have come back fruitless. Others theorized that Earhart may have crash landed at the nearby Gardner Island, where the possible remains of the plane and two crew members were found in the 1940s. However, the newly discovered photo, perhaps taken by an American spy surveilling the Japanese, depicts what looks like both Earhart and Noonan in the nearby Marshall Islands in 1937, suggesting that they may have survived a crash landing. Researchers said they have identified Earhart and Noonan by their distinctive hairstyles and profiles. Furthermore, the two people on the photograph, believed to be Earhart and Noonan, were standing on a dock near a large Japanese vessel. This suggests that they may have been captured by the Japanese. This theory has come up in the past, based on local rumors on the Marshall Islands that American aviators were captured there by the Japanese, as well as similarities between the plane that Earhart was flying, and the subsequently developed Japanese Zero fighter plane. In fact, some experts who have studied the photo, suggest that one of the vessels visible in the image is towing a craft that may be Earhart’s plane. From there, experts suggest that the Japanese took Earhart to Saipan in the Mariana Islands where she died, of uncertain causes, in their custody.